Today I am going to share with you a typical day here at Buzy Day! Not the domestic side, only the fun crafting side! 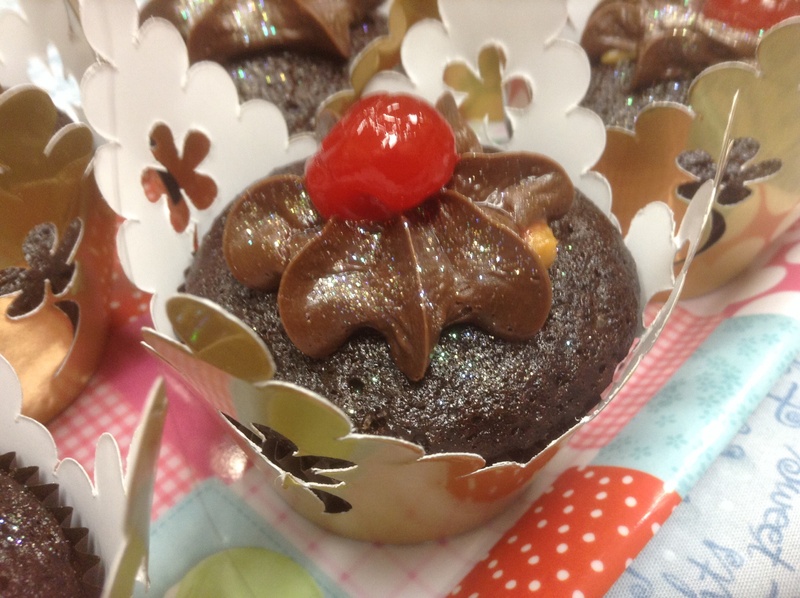 After doing the things we all have to do, my fun crafting side starts with baking a batch of Chocolate Cup cakes, that a friend asked me to make for a kitchen tea for a friend. I have shared the recipe with you on this post. 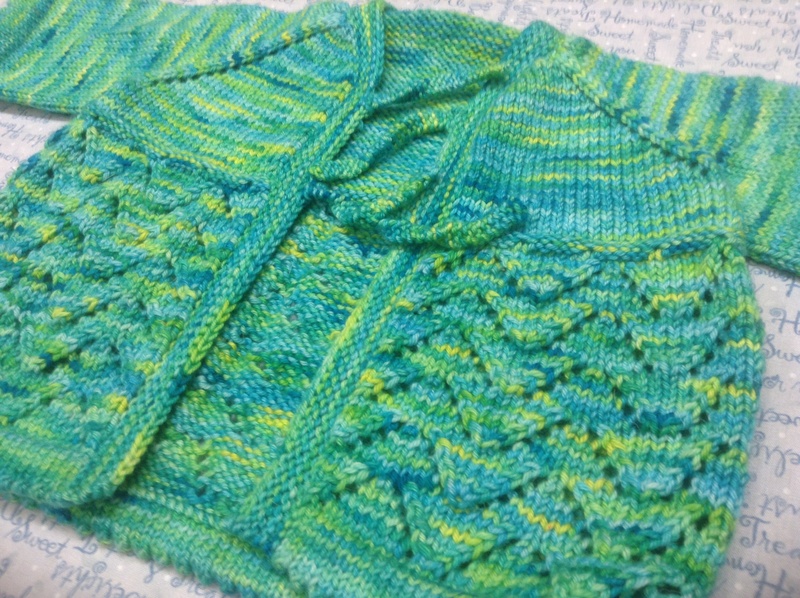 While this was in the oven baking I quickly went and blocked a little cardigan I finished knitting for Hayley I have shared this pattern with you before on this post. The wool I used I purchased from Macs. The wool is dyed by a local lady and it is called Yarn Stash, colour YS01 51, it is a double knit. If you live close by pop in at Macs at 23 Haldane Road and have a look at what they have or have a look at Macs blog. As I popped the cupcakes out of the oven I noticed something went horribly wrong! They didn’t look like they should, not sure what I did wrong! As all the equipment and implements I had to use were in the dishwasher I decided I would make a new batch later. As you all know from last week’s post, I received a parcel of books through the post and I was practically excited to see the one knitting book I had ordered, a book written by Kaffe Fasset and Brandon Mably called “Knitting with the Color Guys”. Flipping through the book one pattern hit my fancy on pg 28, a Multistripe stole. I immediately dove into my sock wool stash and pulled out 9 x 100g balls that would do the job. I had started knitting this earlier in the week and as I now have to wait for the dishwasher to finish I sat down and continued knitting. Knitting is hard work and I noticed my tummy was growling, no wonder it is lunch time! While I unpacked and re packed the dishwasher and made myself a toasted sandwich and cup of tea I quickly put another batch of cupcakes in the oven. All done in the kitchen! Back to the knitting! I have 3 little four legged children that love knitting! But they have a limit, as clock work at 15:30 every day it is play time! After playtime it coffee time and today I had a chocolate cupcake to go with it! 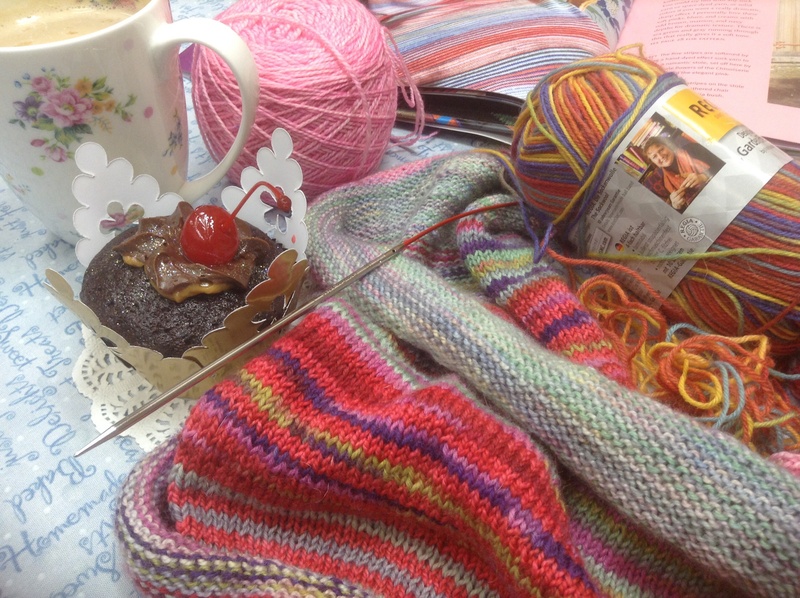 This entry was posted in Baking, Knitting, Reading, Recipes and tagged buzy day, chocolate cupcake recipe, Kaffe Fasset, Knitting with the Color Guys, MACS, Multistripe knitted stole, NikkiM, sock wool, Thelena baby sweater – Summer 2008. Bookmark the permalink. Beautiful beautiful beautiful!!!!!!!!!! And sooooooooo delightful!!!! Busy, busy, busy day! Love the stripey knit. 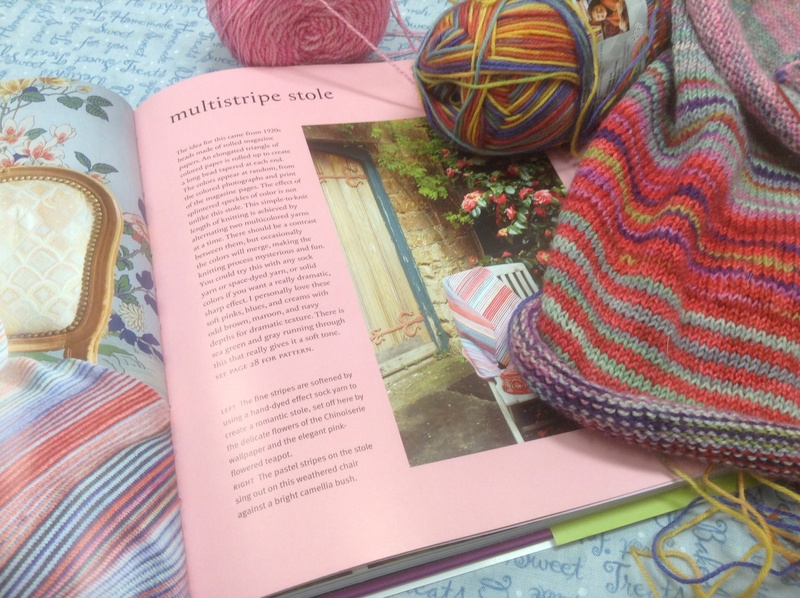 The knitting is beautiful, the cakes are making me hungry and I think I might get the Kaffe Fasset book…….serendipitous! I only came across him for the first time yesterday…….in Pinterest…….and I love the colour notion. You will enjoy the book! Thanks for your lovely comment! Love the eclecticness of that last picture. So, I am sure that I made up a word, but it is what it says. Fun to get so much done at once. I love those days, but usually make up for them with a total down day, now just to find time for that. Great post. You so right the next day I did nothing! Love the new word!